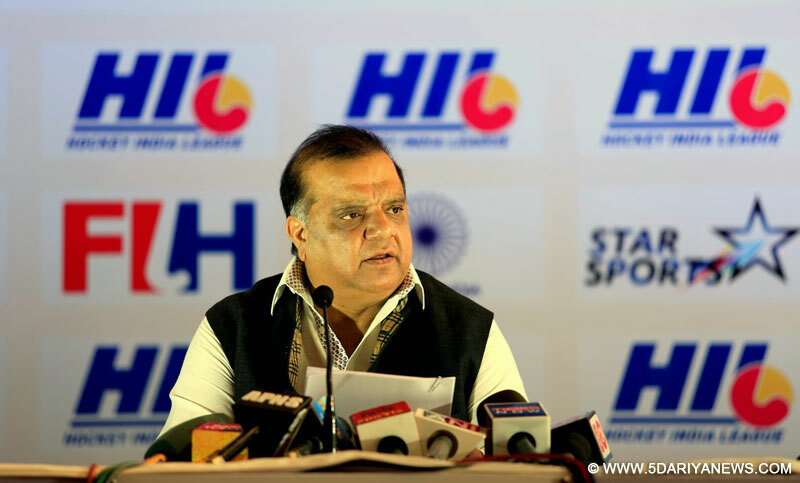 Critising the Indian Olympic Association (IOA) for appointing scam-tainted Suresh Kalmadi and Abhay Singh Chautala as honorary Life Presidents, IOA Associate Vice-President Narinder Batra on Wednesday said he might quit the Olympic body soon.Expressing his reservations over the appointments, Batra, who was recently elected as the International Hockey Federation (FIH) President, asked Kalmadi and Chautala to step aside. Kalmadi has already declined to accept the honorary post. "I might be quitting the IOA soon because I can't be associated with something which does not make sense to me in terms of good governance," Batra said. "They (Kalmadi and Chautala) should not accept this position till the time their names are cleared," Batra added, speaking on the sidelines of the ceremony to felicitate the victorious junior men's hockey team that lifted the World Cup recently.The Indian colts scripted history by winning the title after a 15-year gap when they beat Belgium 2-1 in the final. The team had an unbeaten run in the tournament where they got the best of the likes of Australia in the semi-finals, Spain in the quarter-finals and beat Canada, South Africa and England in the pool stage.Congratulating the team for their efforts, Union Sports Minister Vijay Goel announced a cash incentive of Rs 3.70 lakh for every player in the team. "Each one is a gem and I wish them all the very best for future," Goel said. Speaking on his interaction with the minister, junior hockey team captain Harjeet Singh said: "The minister said that when he learnt that we had entered the final, he wanted to come and watch the match in Lucknow but due to prior commitments he could not make it. However, he said he followed most of our matches and wished us the very best going forward and asked us to stay focused. "Promising goalkeeper Vikas Dahiya said: "It is a great gesture by the Sports Minister to invite us and greet us individually for our performance. This will only motivate us to do better in the coming days. I thank the government for all its support for hockey."